Celebrate the holiday season with the 12 Days of Fleet Feet! 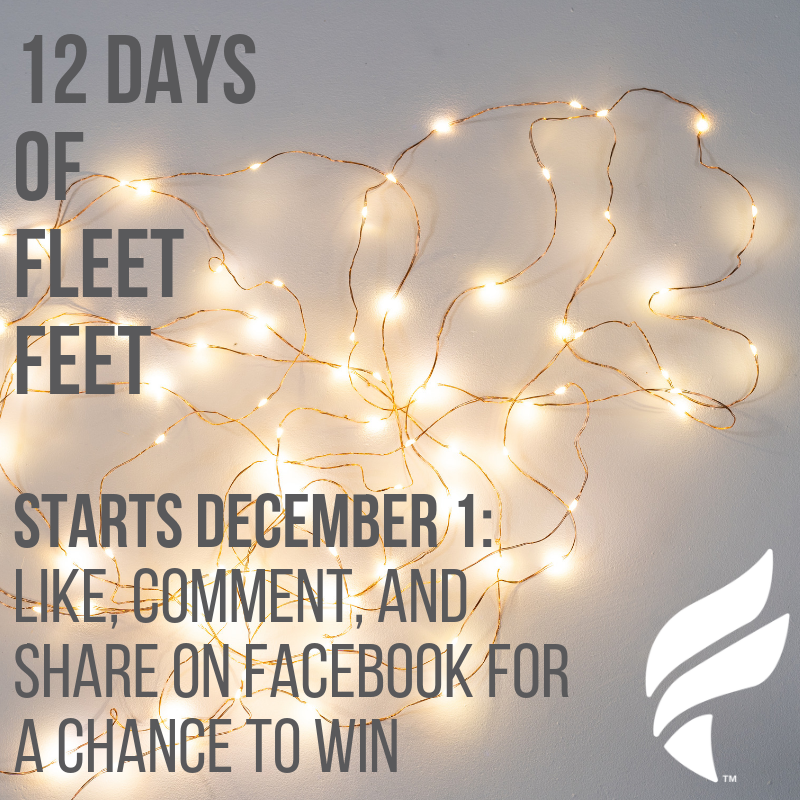 Home › Latest News › Celebrate the holiday season with the 12 Days of Fleet Feet! Follow us on Facebook every day of the year, but especially for the first 12 days of December as we (literally!) share with you some of our favorite in-store items right now! Each day you will have an opportunity to "Like", "Comment" AND "Share" our post for a chance to be randomly selected as that days prize winner. Remember, you must do all three to be in the running. BONUS: Some days you will be invited to tag someone you want to win too! So pay attention. The 12 Days of Fleet Feet Runs through Dec. 12. Good luck, and happy holidays!